Talk Back Episode 148 - Will the real MVP please stand up? This week hosts Justin Gay and Eric Nesbit connect via Ringr due to travel schedules to cover the NCAA March Madness wrap-up, the NBA playoff push and a heated MVP debate, the options for the Jets and Giants in the NFL draft, and whether it would actually be better for the PGA Tour if Tiger Woods finished second in the Masters to one of the younger superstars. 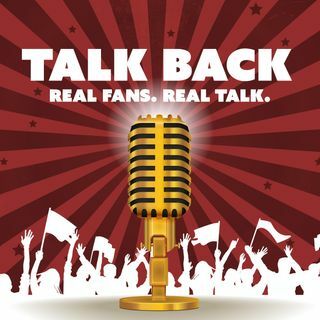 Follow the podcast on social media at @TalkBackFanTalk on Twitter and Instagram, and interact with the hosts all week long on their ... See More individual Twitter accounts: @TalkBackJustin and @TalkBackEric. Enjoy the show, and we'll Talk Back at you next week!